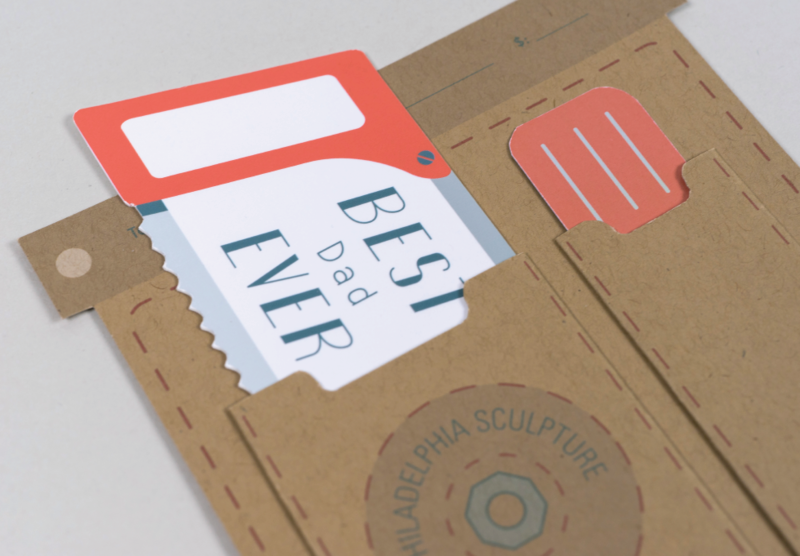 This is a set of three gift cards for a local business, The Philadelphia Sculpture Gym. 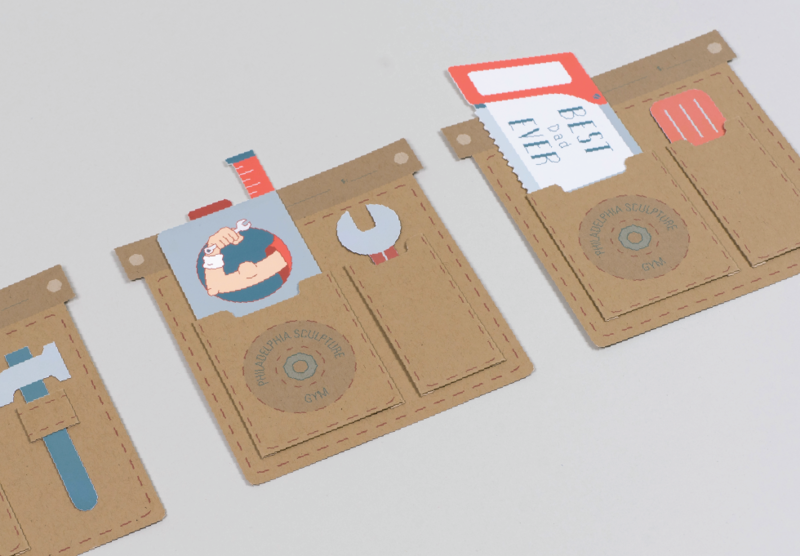 The goal of this project was to help this business grow their brand with memorable and functional work. 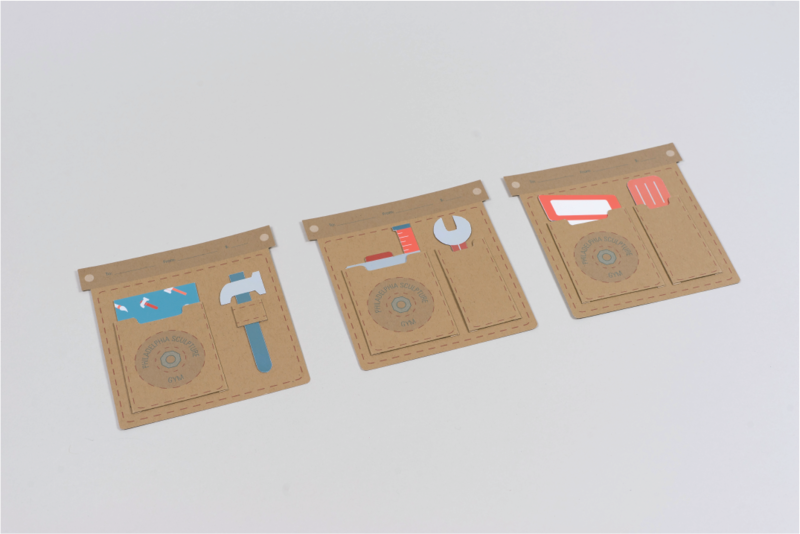 The three separate “tool belts” each hold a gift card. 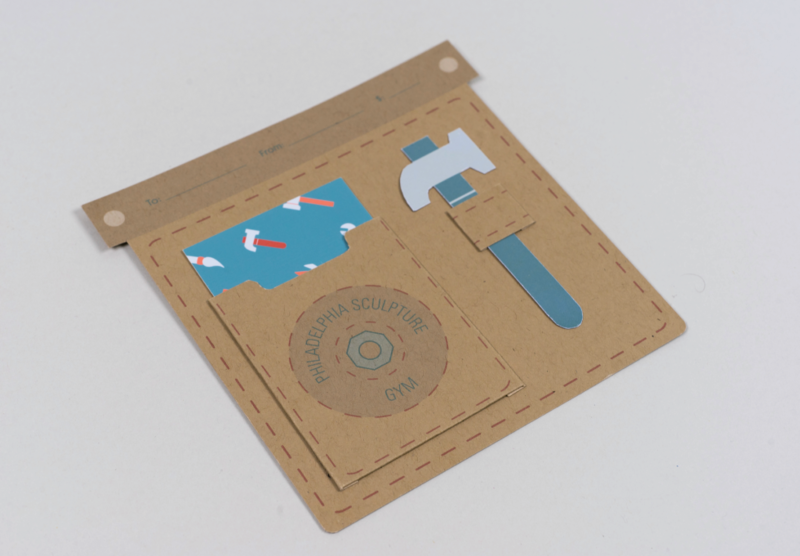 Included in one tool belt is a gift card as well a magnetic tool, either a hammer, wrench, or screwdriver. 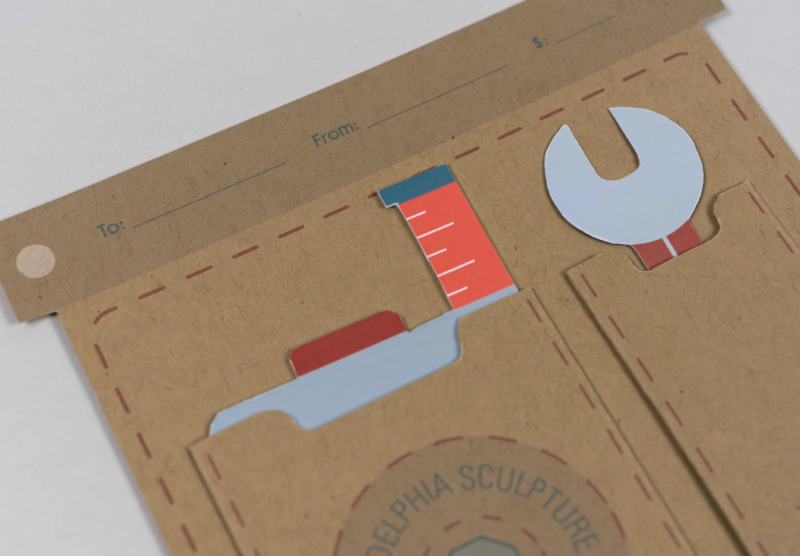 The magnetic tool is there so you can hang your tool belt on the fridge and won’t forget to use your gift card. 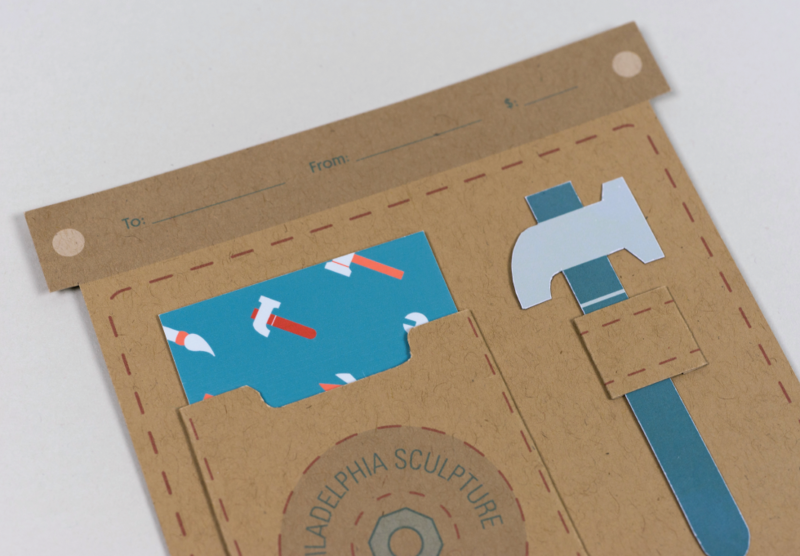 Along with the gift cards is the identity, and various products promoting Philadelphia Sculpture Gym.